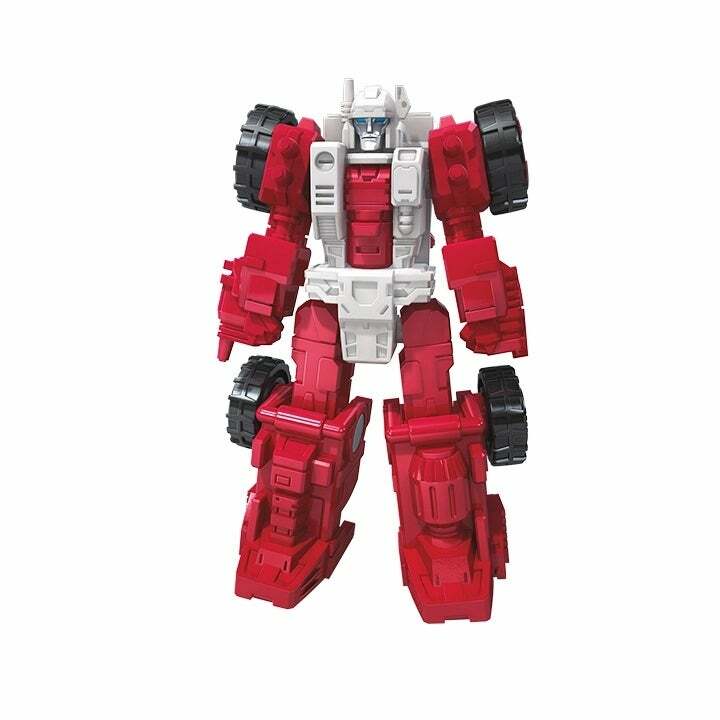 Toy Fair is just around the corner, but Hasbro has an early surprise for Transformers fans in this exclusive first look at four new figures from the Transformers Generations War For Cybertron line. For those unfamiliar, Siege is the first part of the War For Cybertron trilogy, which pairs Generation 1 characters and designs with transforming and combinable weapons within a story that takes place during the final battle for Cybertron between the Autobots and the Decepticons. We've got your first look at four new additions that Hasbro is making to the line and first up is the towering titan Autobot Omega Supreme. 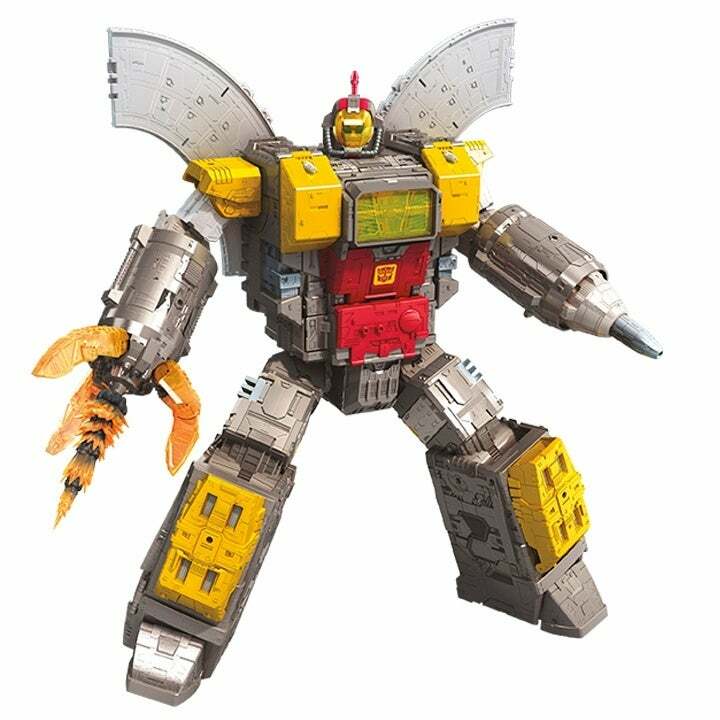 Omega Supreme sports two different forms, including his Command Center form, which sports a rocket, tank, and a perimeter to help defend the Autobots from enemy fire. He also comes with the Micromaster Countdown, which fits inside the rocket, tank, or control tower and can even ride along the perimeter. 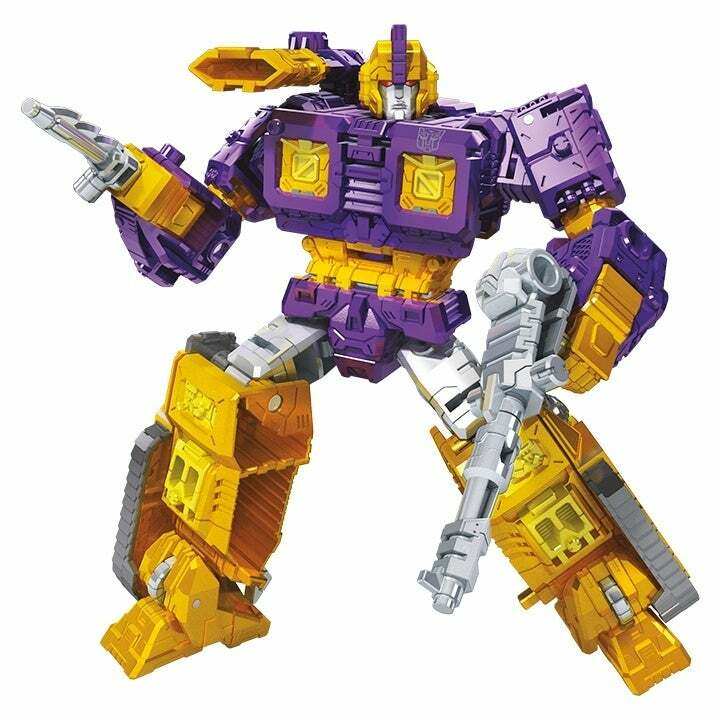 Up next is the Autobot Impactor, who in addition to transforming (he is an Autobot after all) comes with 2 weapon accessories. 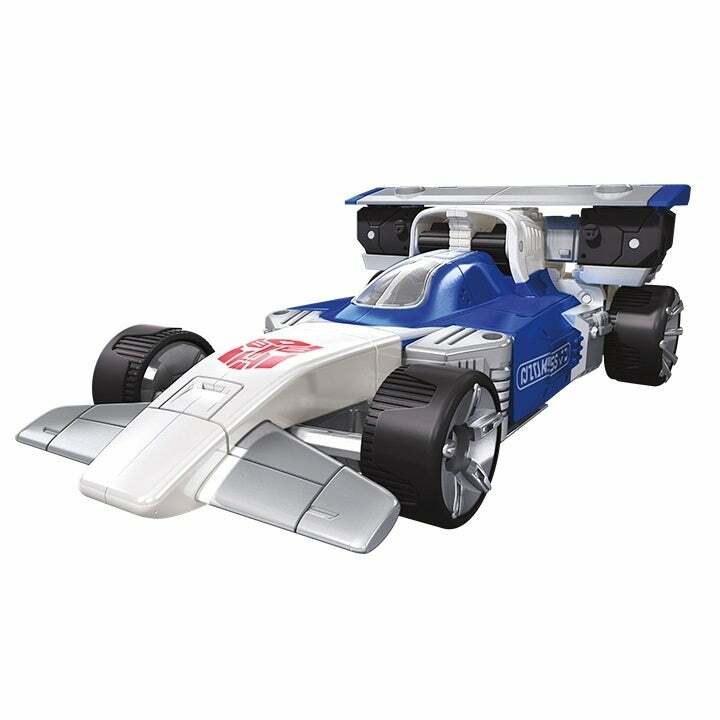 Also available is the Autobot Mirage, who also transforms and comes with 3 weapon accessories. 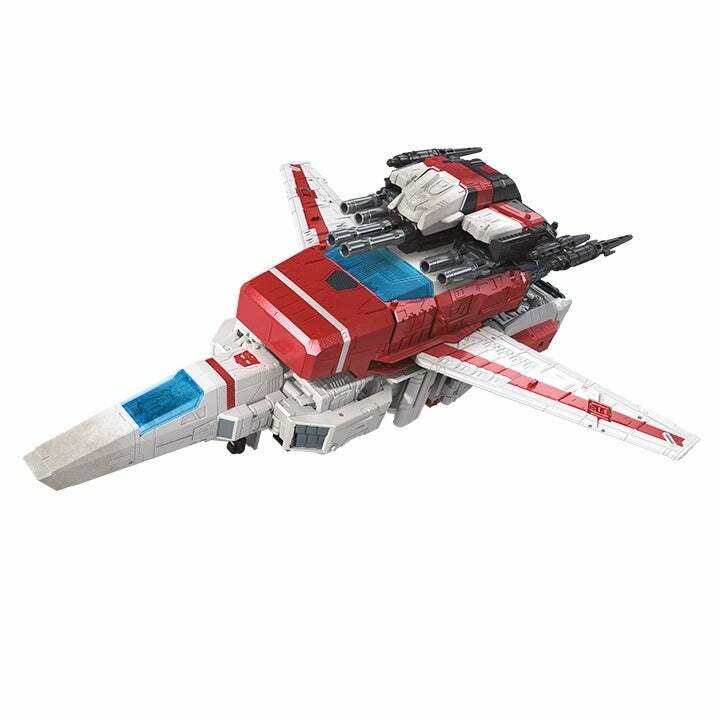 It's not all Autobots though, as fans can also pick up the Siege Commander Jetfire figure. The Decepticon jet comes with 6 different weapons, 2 Radiograph Boosters, and more, which can be used to convert Jetfire into C.O.M.B.A.T. READY mode. Hit the next slide to check out all the new figures coming to the line, and you can check out the official description of the Siege line below. "BUILD THE ULTIMATE BATTLEFIELD - The Generations War for Cybertron trilogy introduces an expansive ecosystem of collectible figures. (Each sold separately. Subject to availability). War for Cybertron: Siege plunges fans into the epic fight to survive on the final day of the Autobot and Decepticon battle to control Cybertron. The time of peace is gone. Cybertron is a war-torn battlefield, overrun by the fighting between two factions: the Decepticon resistance army and the Autobot counter-resistance fighters. Soldiers on both sides gear up with the universe’s most advanced modular weaponry, including the weapon modes of combined Micromaster -- sentient bots that combine to form weapons. Imagine this epic battle coming to life with living weapons! One minute Micromaster figures are tiny unassuming bots, and the next they combine to become awesome weapon accessories that can equip Deluxe, Voyager and Leader Class figures!" In this latest episode, we react to the major Batman movie news that just dropped; talk wrestling with a WWE Royal Rumble recap; and defend geek culture from celebrity political pundit Bill Maher, after he took shots at Stan Lee’s legacy! You can check out the official description below. 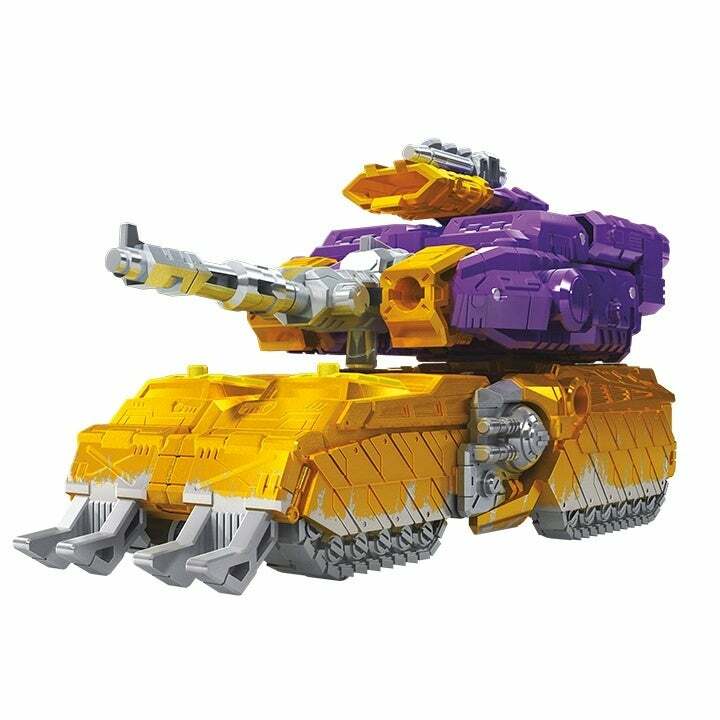 "This colossal 2-foot scale Titan Class WFC-S29 OMEGA SUPREME figure features a G1-inspired design and converts to AUTOBOT Command Center mode, made up of a tank, rocket, control tower, and defense perimeter. 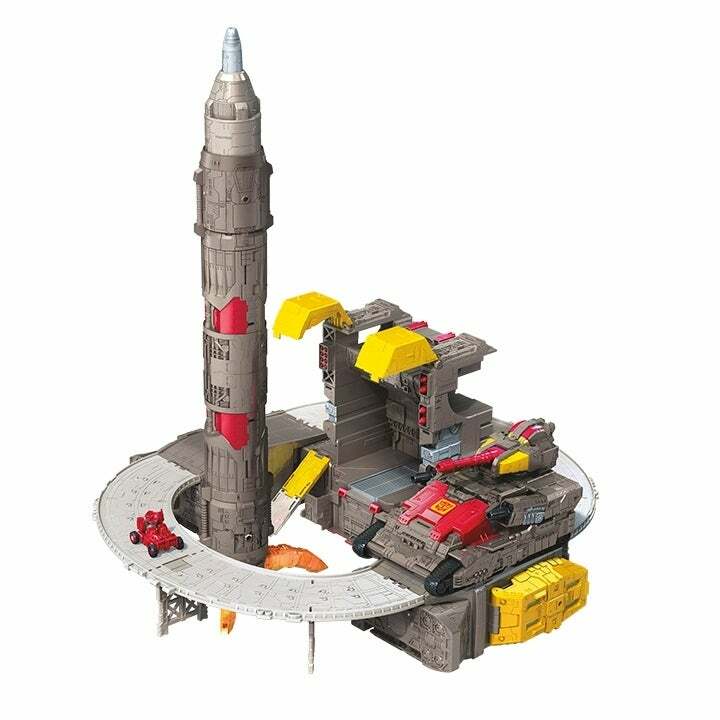 The included MICROMASTER, AUTOBOT COUNTDOWN, fits inside rocket, tank, and control tower, and can ride along the defense perimeter. Includes 6 Fire Blasts accessories to simulate battle effects on figure and Command Center mode. Build the ultimate battlefield with Siege figures. Siege plunges fans into the epic fight to survive on the final day of the AUTOBOT and DECEPTICON battle to control CYBERTRON. As the AUTOBOT counter-resistance takes on the DECEPTICON resistance army, the unyielding AUTOBOT army captain and city defender, OMEGA SUPREME, lies in wait -- the AUTOBOTS last line of defense. Adult fans nostalgic for the original TRANSFORMERS animation and kids discovering classic characters for the first time can share and experience exciting play patterns for all generations." "Winner of 2018 Fan Vote, the WFC-S42 AUTOBOT IMPACTOR figure stands at 5.5 inches in robot mode and converts into a CYBERTRONIAN vehicle and comes with 2 weapon accessories: the HP Energon Mineblaster and Trilithium Drill. Figure features multiple C.O.M.B.A.T. System weapon ports to attach weapons, enabling custom configurations in bot and vehicle modes. Build the ultimate battlefield with Siege figures. Siege plunges fans into the epic fight to survive on the final day of the AUTOBOT and DECEPTICON battle to control CYBERTRON. Adult fans nostalgic for the original TRANSFORMERS animation and kids discovering classic characters for the first time can share and experience exciting play patterns for all generations." The official description can be found below. 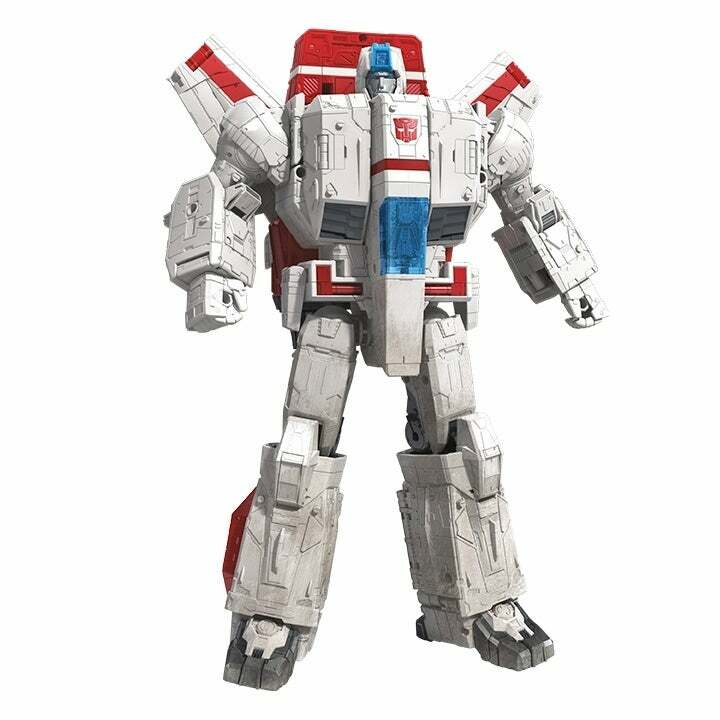 "The WFC-S28 JETFIRE figure stands at 11 inches in robot mode and converts into a Cybertronian aircraft. JETFIRE figure comes with 2 JF-25 HS Photon Missile Sky Launchers, 2 HS Photon Missiles, 2 JF-15 HP Jetboost Particle Beam Cannon, 2 SF-M2 Radiograph Boosters, Skyshield Aerial Armor, and Skyshield Battle Mask accessories. Use weapon and armor accessories to convert figure to C.O.M.B.A.T. READY mode. Figure features multiple C.O.M.B.A.T. System weapon ports to attach weapons, enabling custom configurations in bot and vehicle modes. 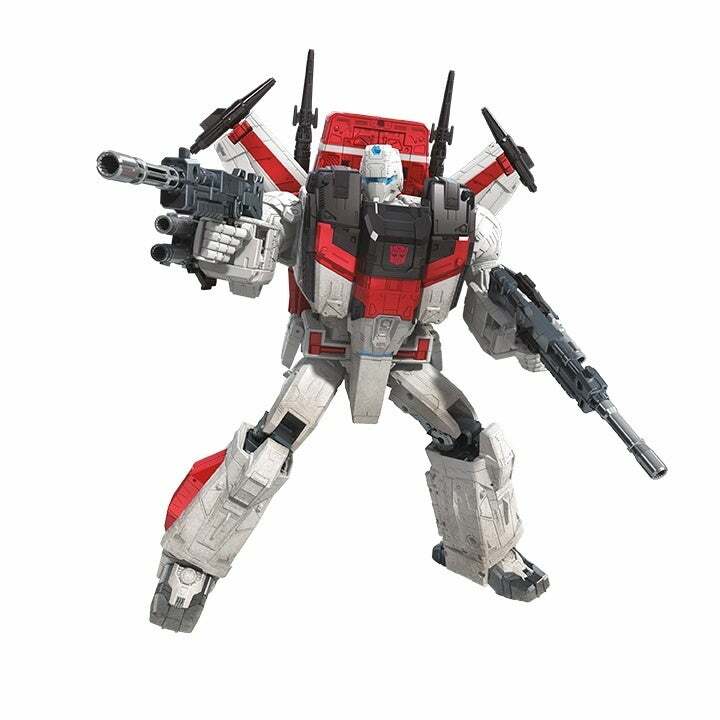 JETFIRE has a special feature where Deluxe figures’ (each sold separately, subject to availability) attach to jet mode so fans can imagine them being deployed into battle from above. Adult fans nostalgic for the original TRANSFORMERS animation and kids discovering classic characters for the first time can share and experience exciting play patterns for all generations." 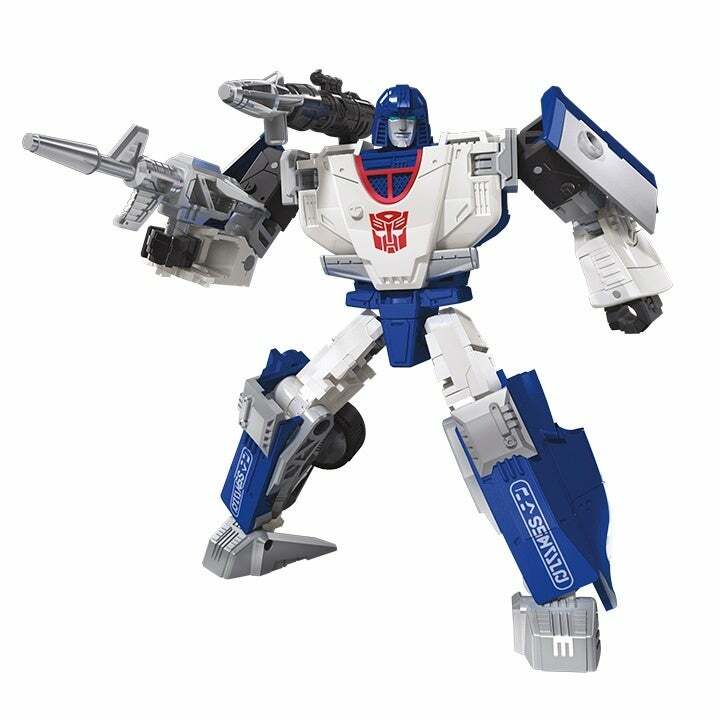 "Winner of 2018 Fan Vote, the WFC-S43 AUTOBOT MIRAGE figure stands at 5.5 inches in robot mode and converts into a CYBERTRONIAN vehicle and comes with 3 weapon accessories: the C-20 Electro-Disruptor Cannon, Distortion Missile, and the W-15 Armor-Piercing Rocket-Dart Launcher. Figure features multiple C.O.M.B.A.T. System weapon ports to attach weapons, enabling custom configurations in bot and vehicle modes. Build the ultimate battlefield with Siege figures. Siege plunges fans into the epic fight to survive on the final day of the AUTOBOT and DECEPTICON battle to control CYBERTRON. Adult fans nostalgic for the original TRANSFORMERS animation and kids discovering classic characters for the first time can share and experience exciting play patterns for all generations."